OK. 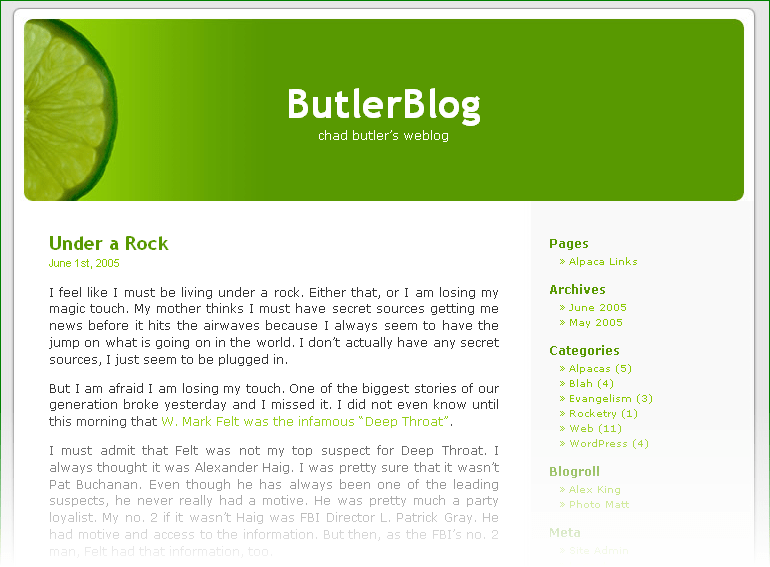 Here is my first WordPress Theme for WP 1.5. This was tested on 1.5.0 and 1.5.1. 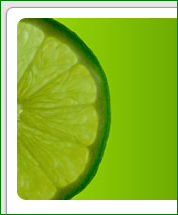 The theme is called LimeLite and this is the first beta release. It is HEAVILY based on Kubrick. In fact, it is Kubrick with a modified header and modified font colors. So the it’s basically a Kubrick mod. To install, download the theme, extract, and load to /wp-content/themes/. This should give you a /limelite/ folder in /themes/. There is no additional support available for this release. Need help with search engine optimization?‚ Check out our new list of articles here.